Nutty aromas always attract me. I love to layer various products of the same type of fragrance or with ones that complement each other. 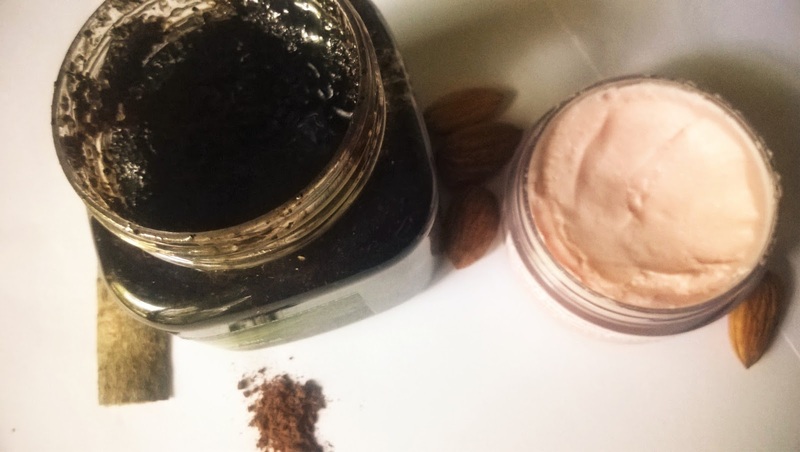 Recently I am taking care of my dry skin with a weekly schedule of body pampering with products hat are rich in antioxidant properties and very nourishing. 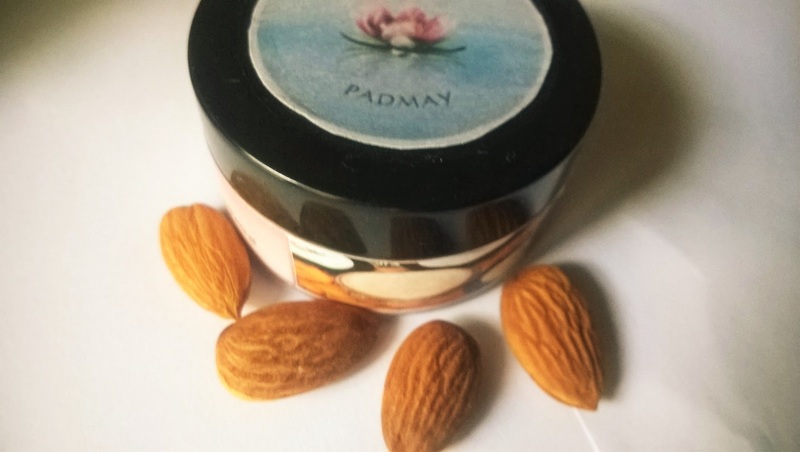 I am using products from Padmay to give my skin the nourishment it requires. I start with the Padmay Natural Coffee and Cinnamon Scrub to exfoliate my skin. After massaging for 2-3 minutes I wash it off with lukewarm water and pat dry with towel. then apply the Almond & Cocoa Butter Nourishing Cream. 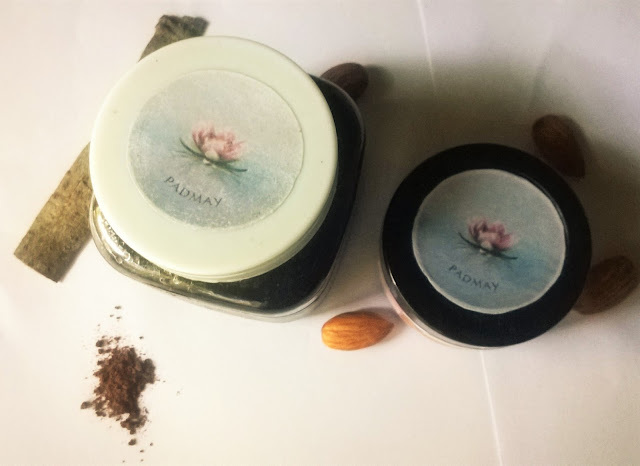 Padmay's Handcrafted Coffee, Cinnamon n Sugar scrub all enveloped in the moisturising and conditioning goodness of extra virgin Olive Oil and Cold pressed Coconut Oil.The Sugar helps you exfoliate the dead skin cells, as you inhale the scents ofCoffee and Cinnamon and Nutmeg.The aroma of coffee wont ever fail to awaken your senses.leaves your skin feeling beautifully silky n smooth. 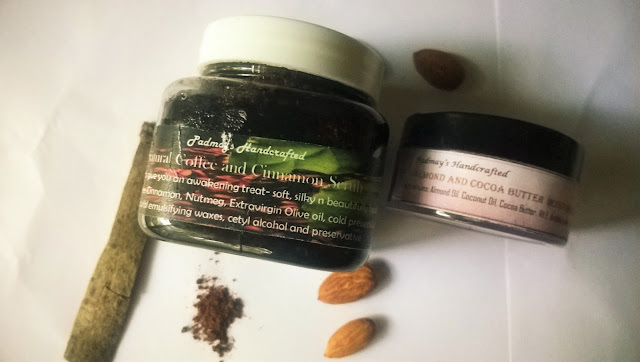 Priced at Rs300 for 100 g, this scrub is great for normal to dry skin. It gently wipes away dead skin and leaves the skin soft and moisturized. I like the nuttiness of the smell. It is very basic and nothing artificial or strong. The skin becomes very soft and actually does not need to be moisturized afterwards, due to the presence of Olive Oil. The packaging is quite good and sturdy. 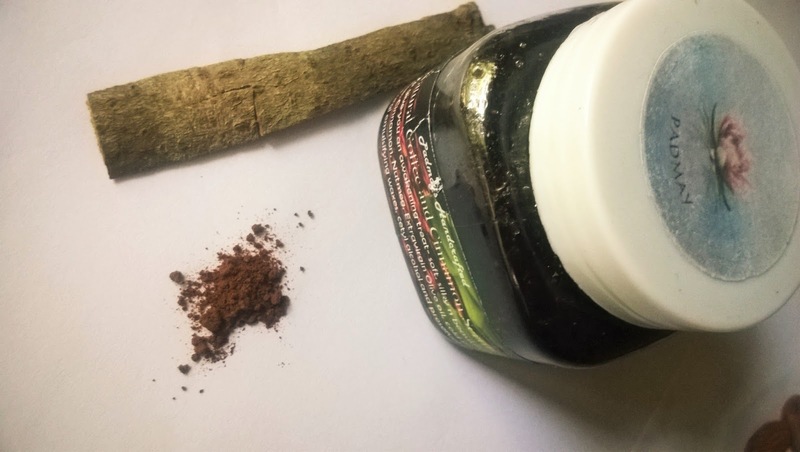 The best thing is a very little product is required to be used for the body. A moisturising answer to the driest skin, combined with nourishing and skin protecting ingredients:virgin Almond Oil - well known for its moisturising, lubricating, anti inflammatory properties and also a wrinkle buster.extra virgin Coconut Oil - known for its moisturising, skin strenthening, skin protection, skin softening and anti aging properties.Cocoa Butter - rich in vitamins and vit e, an excellent emollient and moisturiser, full of antioxidants, prevents moisture loss from skin.this cream comes with added glycerin and vitamin E, fragrance oil, water and preservative.It is Paraben and toxic chemicals free. Priced at Rs.165 for 25 g. this cream is very hydrating. It can be used as a facial moisturizer too. But as I have dry body skin I prefer to use it as a body cream. The fragrance is mild, and I expected a bit of more nuttiness from it. I like the way it melts into the skin, although it appears quite thick in the jar. The skin is hydrated and left soft for a good period of time. It is a great pairing with the Scrub, specially if you have dry to very dry skin. The best thing is it is not greasy on the skin. 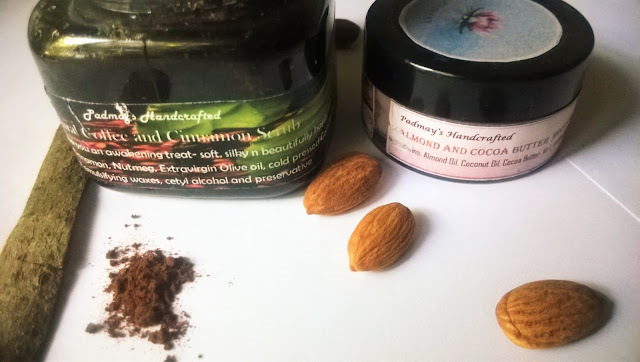 Out of the 2 products, if given a choice or for recommendation, I would always go for the Padmay Natural Coffee and Cinnamon Scrub. 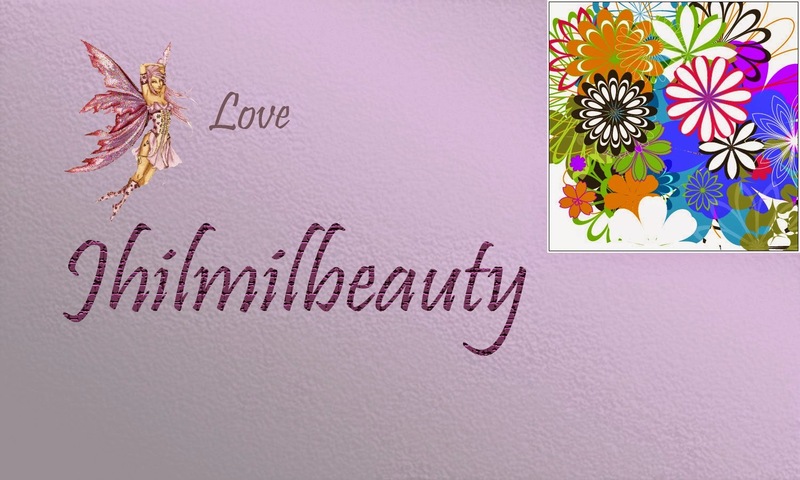 It is a great product and can be used on any skin type. So this is my weekly body treat using Padmay products. I can feel that my skin has responded well with this weekly treat and has become quite softer and smoother.